Last week Paris was still enjoying the mellow gentleness of late August just days before the return of the hustle and bustle of everyday life or La Rentree as it is referred to in France. After the long French summer holiday during July/August, in the blink of an eye the day to day life and rhythm of the City and it’s people returns as August gradually moves into September. 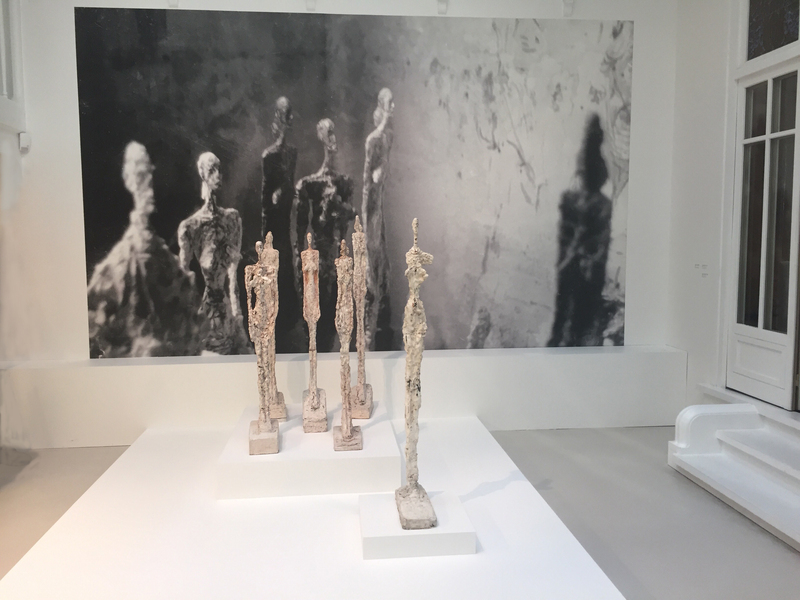 My own treat was a visit to The Giacometti Institute, a small museum and exhibition space dedicated to the way we look at the artist, Alberto Giacometti, his time and his influence. 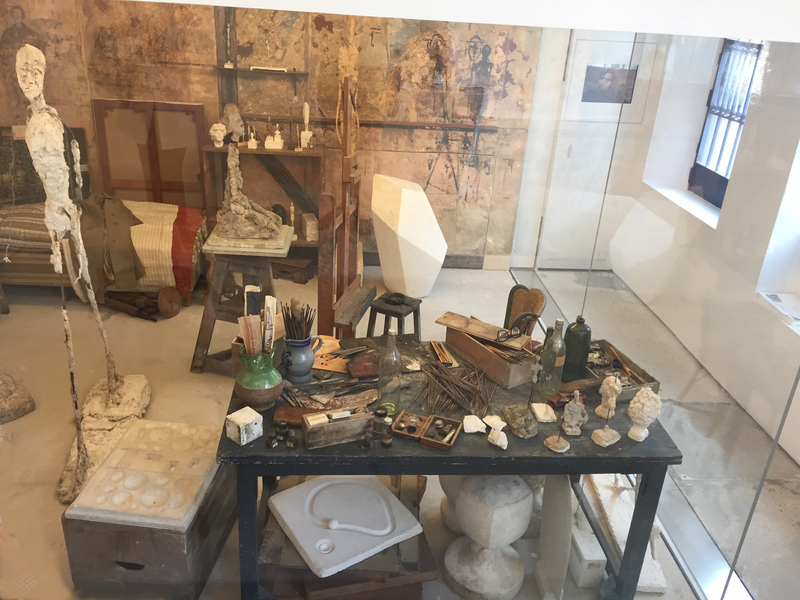 The artist’s mythical studio, as seen through the eyes of Giacometti’s long time friend, the writer Jean Genet, which he inhabited for 40 years has been recreated permanently in the Giacometti Institute and re-unites more than seventy original sculptures in plaster and bronze, as well as the last works in clay on which the artist was working just prior to his death in 1966. Some works are very fragile and have never been shown in public. The furniture and the original walls covered in drawings complete the reconstruction . The Studio filled with sculptures, many unfinished and surrounded by dust, the artists small divan and various little bits of work paraphernalia sit in repose creating an illusion of waiting for the master to return. L’Atelier D’Alberto Giacometti Vu Par Jean Genet is showing until the 16 September. 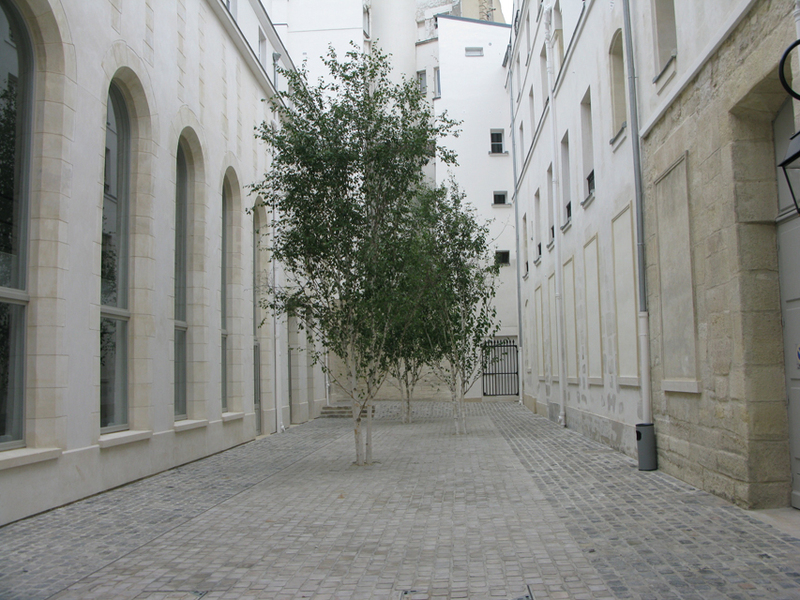 Parisian ‘passageways’ covered or open air galleries lined with businesses which linked districts together were a familiar part of Parisian tradition in the 19th century, there were 240 of them, today there are around 20. 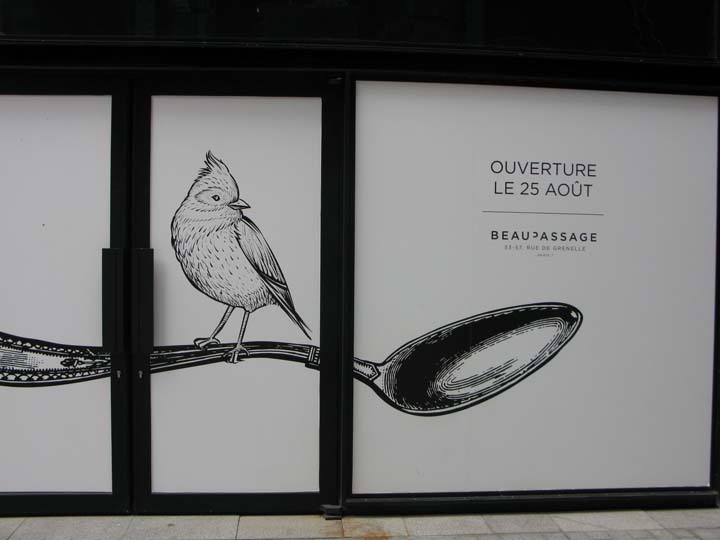 Last week occupying a spot between Boulevard Raspail and rues des Grenelle and Bac, a new passage opened bringing to life this old tradition with a sumptuous modern take on the old tradition. 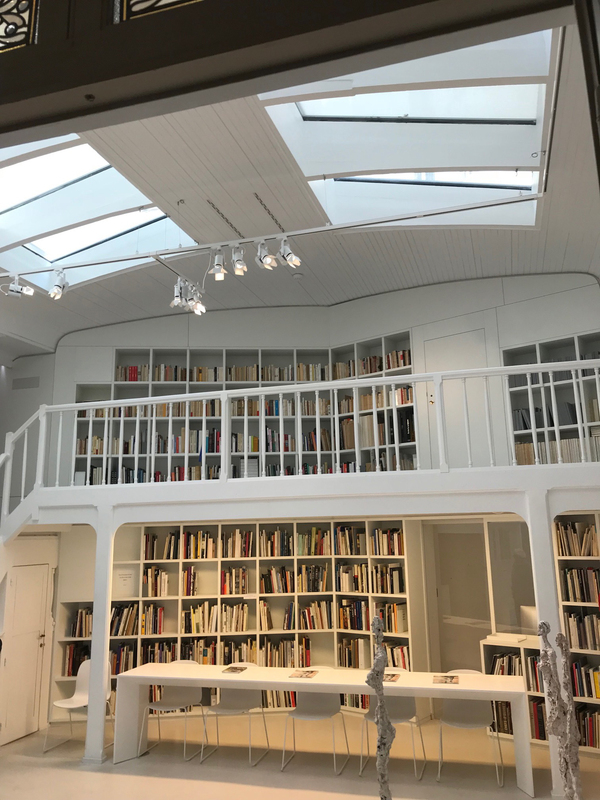 This 7 year project encompasses as many styles and materials as the architects of the project, B + B and Franklin Azzi were able to weave together making Beau Passage a must see for Architecture enthusiasts. Nature is at the heart of this new passage with no less than 60 species of trees, plants and flowers including Scots pines, Japanese Maples and Himalayan birches. This will no doubt be a foodie hotspot with artisans of our taste buds offering a jewel of choice – these include Thierry Marx whose Beau Passage bakery reveals his love of bread and of travel, a theme heavily influenced in the décor of this modern but cosy bakery. Nicole Barthélémy’s fromagerie and Pierre Hermé chocolatier, macaron creator and patissier are just a few of the names whose cafes, restaurants and specialist shops have already opened in this Zen like enclave. We came across Beau Passage by chance as we strolled along rue du Bac, two large wooden doors were open which we inquisitively walked through leading us into this very beautiful space, the main entrance being on rue de Grenelle.The many traditional pavement cafes on rue du Bac spill out almost into the busy road – Beau Passage offers a quieter and very elegant alternative with more space to spread out en famille – children on scooters were happily enjoying a safe freedom whilst parents enjoyed this new and very cool addition to the area. With more shops, galleries and foodie establishments due to open over the coming weeks and months, this new passage will no doubt create much interest.